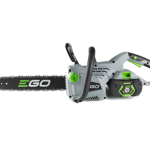 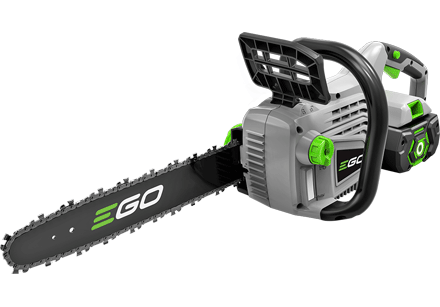 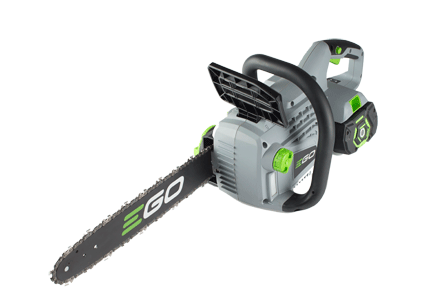 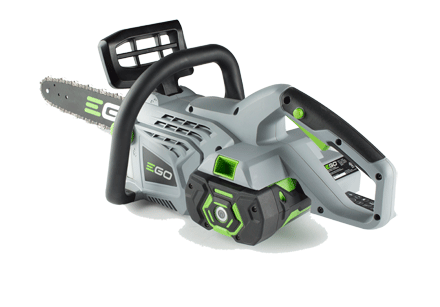 The EGO POWER Chain Saw is one of the most powerful cordless products of its kind. 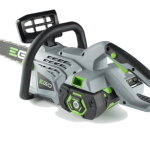 Powered by the industry’s first and most advanced 56 volt ARC lithium-ion battery, it delivers a cutting performance equivalent to many petrol powered models. 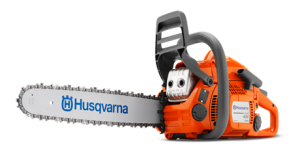 The 350mm (14 in.) 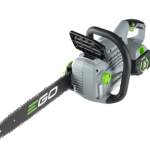 bar and chain combined with a high-efficiency brushless motor provides a smooth cut and extends the life and run time of the tool. 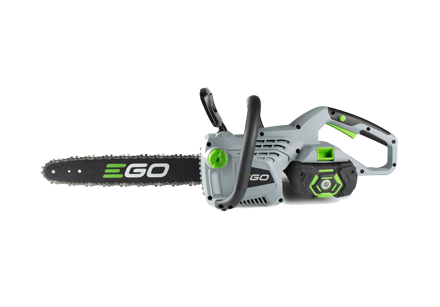 The EGO POWER Chain Saw delivers the performance of petrol without the noise, fuss and fumes.